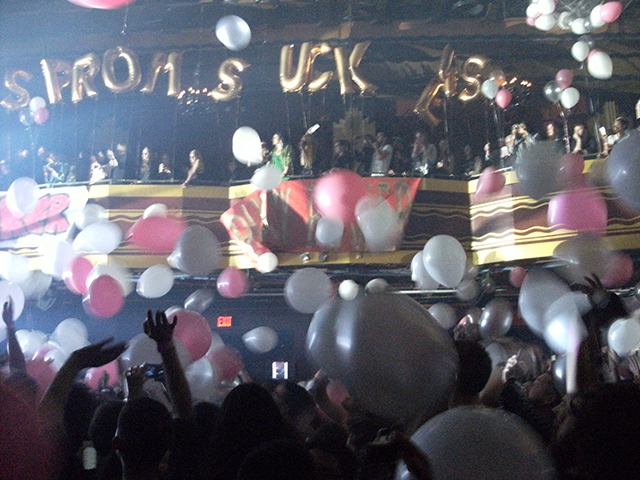 Amid the popularity of the hits “Boom Clap” and “Fancy,” her smash duet with Iggy Azalea,” British pop singer Charli XCX rolled into New York City and turned Webster Hall into prom night – complete with balloons and banners. 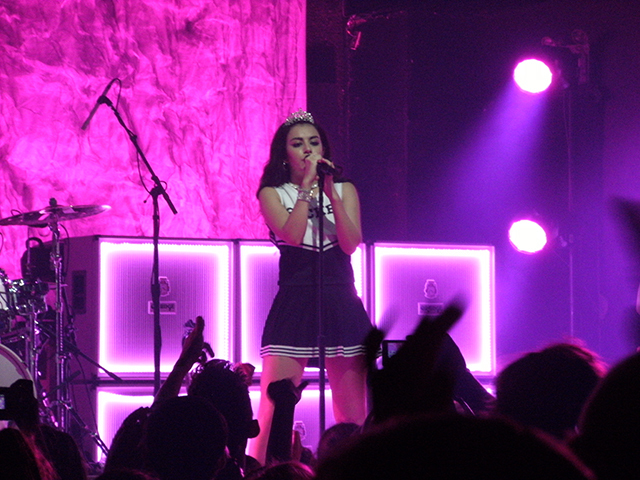 Accompanied by her all-female band dressed in cheerleader outfits, the tiara-wearing Charli delivered a pretty electrifying set of music from her previous album True Romance as well as songs from her upcoming record Sucker. 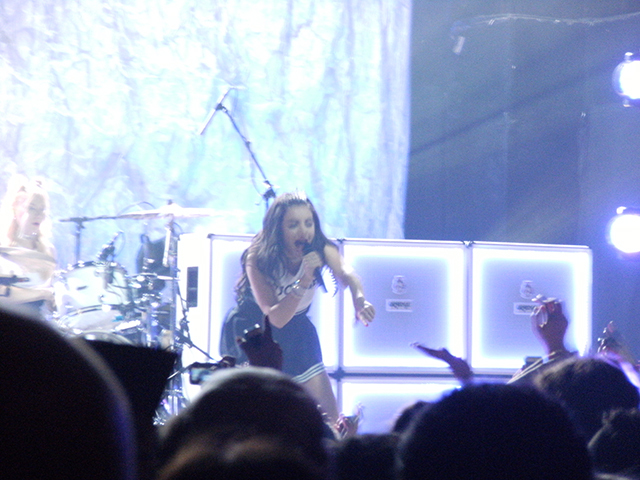 I personally haven’t seen someone put so much energy into a show as she did in terms of her swagger and aggressive dance moves. 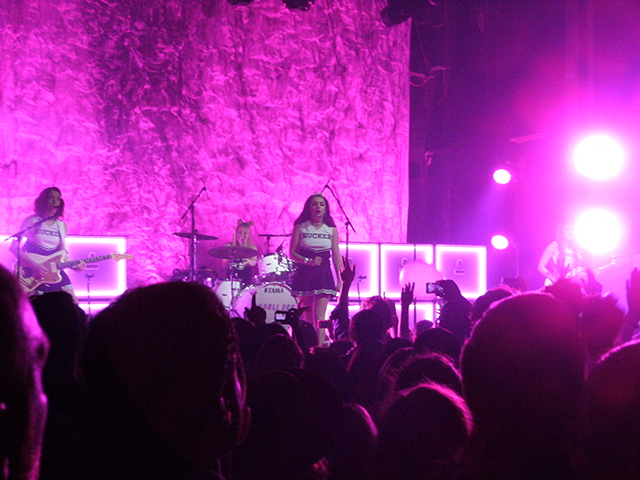 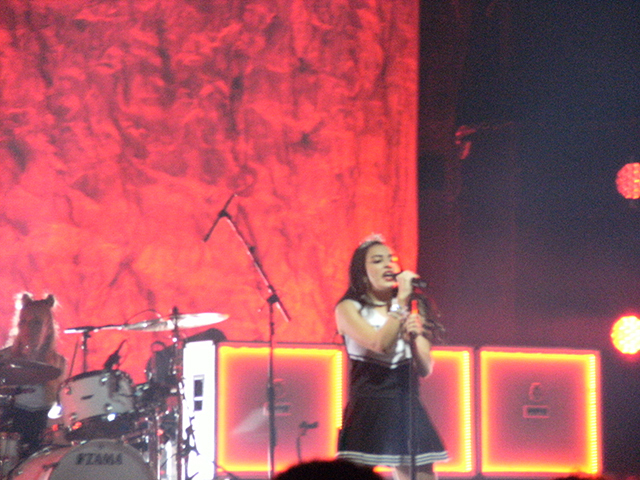 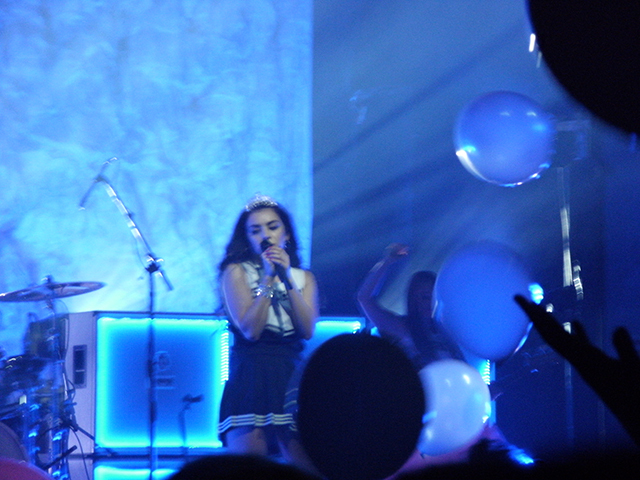 Apart from perhaps one or two subdued numbers, Charli delivered one pounding track after another (she also did a cover of the Barrett Strong song “Money (That’s What I Want”)), culminating in her performance of “Fancy” in which she handled both her part along with Azalea’s from the recorded version. 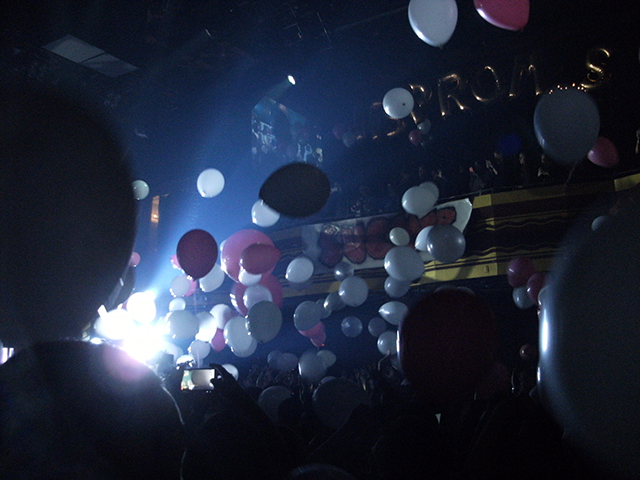 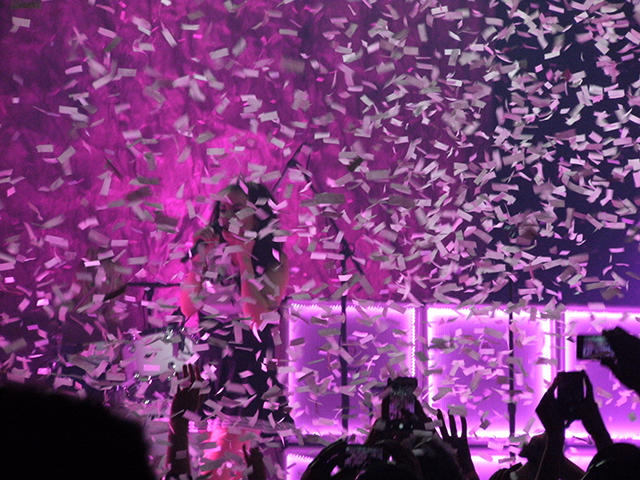 At one point, a whole wave of balloons fell from the rafters, followed later by streams of confetti towards the end of the show. 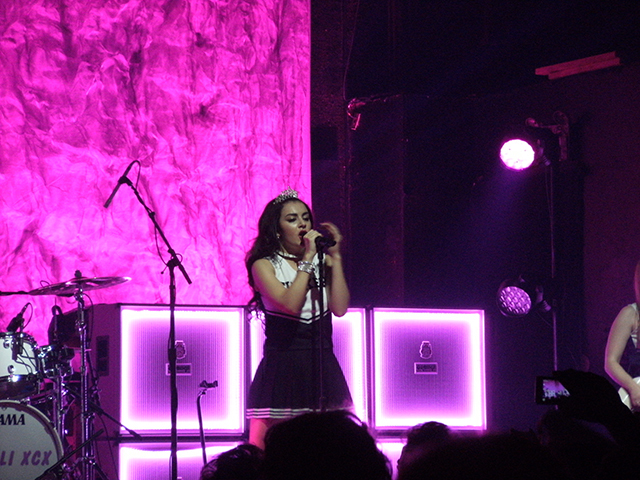 Judging by the performance, Charli is set on making her mark as a major pop star on the level of Katy, Taylor and Gaga. 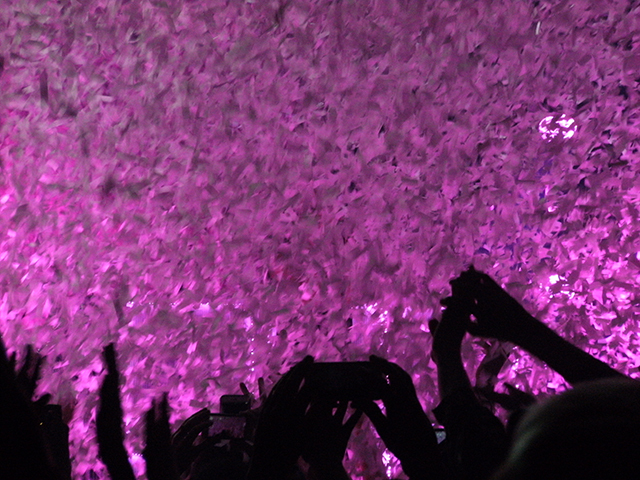 And perhaps with Sucker’s imminent release, she is getting there.